By John Kruzel on Thursday, June 15th, 2017 at 6:27 p.m.
On June 14, former congresswoman Gabrielle Giffords, who was severely wounded in an assassination attempt six years ago, said that her "heart" was with Rep. Steve Scalise and others involved in the shooting in Alexandria, Va.
After a lone gunman opened fire on Republican lawmakers June 14 while they practiced baseball, the New York Times published an editorial that broadly condemned political violence but sparked controversy with a claim about the motive behind a 2011 attack on a Democratic member of Congress. 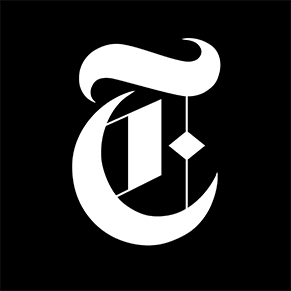 The New York Times has since issued a correction following broad criticism. The original editorial claimed that maps circulated by Sarah Palin's PAC amounted to "political incitement," which the authors said was clearly linked to the subsequent 2011 shooting of Rep. Gabby Giffords, D-Ariz.
"In 2011, when Jared Lee Loughner opened fire in a supermarket parking lot, grievously wounding Representative Gabby Giffords and killing six people, including a 9-year-old girl, the link to political incitement was clear," the uncorrected editorial read. "Before the shooting, Sarah Palin’s political action committee circulated a map of targeted electoral districts that put Ms. Giffords and 19 other Democrats under stylized cross hairs." The editorial, penned amid the frenzy of the mass shooting, sought to connect the attack on GOP lawmakers with the 2011 Giffords shooting to make a broader point about politically motivated violence. The piece reasoned that the latest attack, which left the gunman dead and four injured, including House Majority Whip Steve Scalise, R–La., was probably "evidence of how vicious American politics has become," and that the shooter’s derangement "found its fuel in politics." The editorial ran into trouble when it turned its focus to the Giffords shooting, so we decided to explore why the connection between Palin’s PAC and Loughner’s motivation is problematic. According to news reports, Loughner became fixated on Giffords several years before his Jan. 8, 2011, shooting rampage that killed six and injured 14, including the Arizona congresswoman. Loughner first met Giffords in 2007 at a community event where he asked her a question and was "unsatisfied with her answer," CNN reported. It was at this point he developed a fixation for the lawmaker. Several years elapsed between the time Loughner first met Giffords and when Palin posted a note to Facebook that linked to her political action committee. The PAC circulated a map of House Democrats' districts (not individual members) the GOP would seek to recapture. According to the Washington Post, there is no evidence Loughner was aware of Palin's maps. And according to an interview with one of Loughner's high school friends, the gunman did not watch the news. His rampage was akin to "shooting at the world," said Loughner’s friend Zach Osler. Loughner was ultimately sentenced to serve seven consecutive life terms plus 140 years, without the possibility of parole. The uncorrected editorial appeared in today’s print version of the newspaper, and was available online between roughly 9 p.m. June 14 and 10 a.m. June 15, a spokesperson said. "An earlier version of this editorial incorrectly stated that a link existed between political incitement and the 2011 shooting of Representative Gabby Giffords," the correction reads. "In fact, no such link was established." The New York Times’ Opinion twitter account also issued a pair of mea culpas. "We got an important fact wrong, incorrectly linking political incitement and the 2011 shooting of Giffords. No link was ever established," read the first tweet from the NYT Opinion account. A follow-up tweet read: "We're sorry about this and we appreciate that our readers called us on the mistake. We've corrected the editorial." Around 4 p.m., the New York Times amended its correction to clarify its description of the maps distributed by Sarah Palin’s political action committee. "The editorial has also been updated to clarify that in a map distributed by a political action committee before that shooting, electoral districts, not Democratic lawmakers, were depicted beneath stylized cross hairs," it read. The New York Times editorial board said a political map circulated by Palin’s PAC incited Rep. Gabby Giffords’ shooting. We were unable to find evidence Loughner was even aware of the maps, and a friend told an interviewer Loughner did not closely watch the news. The New York Times corrected its story some 13 hours after publication to say no such link has been established between political incitement and the 2011 shooting of Giffords. At PolitiFact, our rulings are based on when a statement was made. This claim rates False. Published: Thursday, June 15th, 2017 at 6:27 p.m.